We come across all kinds of data in our daily life. For example, we need to handle data such as names, addresses, money, date, stock quotes, statistics and more every day. Similarly, in Visual Basic, we have to deal with all sorts of data, some can be mathematically calculated while some are in the form text or other forms. VB divides data into different types so that they are easier to manage when we need to write the code involving those data. 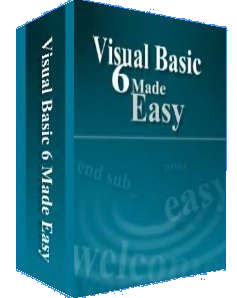 Visual Basic classifies the information mentioned above into two major data types, they are the numeric data types and the non-numeric data types. Single 4 bytes -3.402823E+38 to -1.401298E-45 for negative values 1.401298E-45 to 3.402823E+38 for positive values. Double 8 bytes -1.79769313486232e+308 to -4.94065645841247E-324 for negative values 4.94065645841247E-324 to 1.79769313486232e+308 for positive values. Decimal 12 bytes +/- 79,228,162,514,264,337,593,543,950,335 if no decimal is use +/- 7.9228162514264337593543950335 (28 decimal places). Literals are values that you assign to data. In some cases, we need to add a suffix behind a literal so that VB can handle the calculation more accurately. For example, we can use num=1.3089# for a Double type data. Some of the suffixes are displayed in Table 5.3. Variables are like mail boxes in the post office. The contents of the variables changes every now and then, just like the mail boxes. In term of VB, variables are areas allocated by the computer memory to hold data. Like the mail boxes, each variable must be given a name. 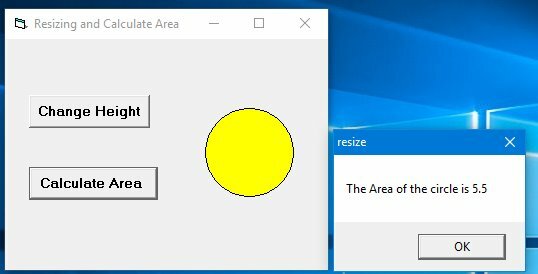 To name a variable in Visual Basic, you have to follow a set of rules. Cannot repeat names within the same level of scope. In Visual Basic, it is a good practice to declare the variables before using them by assigning names and data types. They are normally declared in the general section of the codes' windows using the Dim statement. You can use any variable to hold any data , but different types of variables are designed to work efficiently with different data types . Unlike other programming languages, Visual Basic actually doesn't require you to specifically declare a variable before it's used. If a variable isn't declared, VB willautomatically declare the variable as a Variant. A variant is data type that can hold any type of data. where n defines the number of characters the string can hold. *yourName can holds no more than 10 Characters. The above keywords indicate the scope of the declaration. Private declares a local variable or a variable that is local to a procedure or module. However, Private is rarely used, we normally use Dim to declare a local variable. The Static keyword declares a variable that is being used multiple times, even after a procedure has been terminated. Most variables created inside a procedure are discarded by Visual Basic when the procedure is finished, static keyword preserves the value of a variable even after the procedure is terminated. Public is the keyword that declares a global variable, which means it can be used by all the procedures and modules of the whole program. Constants are different from variables in the sense that their values do not change during the running of the program.